Figure 6.2. NCAM Promotes Synaptogenesis in a Choice Situation. (A) A schematic diagram depicting normal synaptic coverage of NCAM-deficient (-/-) neurons, as compared to wild-type neurons (+/+) in homogenotypic cultures, and of reduced synaptic coverage in heterogenotypic co-cultures. (B) A hypothetical model according to which synaptic activity and activation of NMDA receptors (NMDAR) and voltage-dependent Ca2+ channels (VDCC) during induction of LTP may lead to increases in NCAM expression in stimulated neurons or in neighborhood of stimulated synapses, which may promote synaptogenesis in these cells/subcellular domains. See Colorplate 5. Does NCAM act as a ligand or a receptor? Transfection of NCAM-deficient neurons with either of three major NCAM isoforms, GPI-linked NCAM 120 or transmembrane domain-containing NCAM 140 or NCAM 180, stimulated preferential synapse formation on all NCAM isoform-expressing neurons40. These experiments suggest that the extracellular domain of NCAM has synaptogenic activity. To investigate the involvement of PSA, cultures were treated with endoneuraminidase N (endo-N) which removes PSA linked to protein. Intriguingly, this treatment completely abolished preferential formation of synapses in NCAM-expressing cells. Enzymatic removal of heparan sulfates from cultured neurons, a mutation in the heparin-binding domain (HBD) of NCAM, and application of recombinant soluble extracellular domains of NCAM and PSA-NCAM similarly diminished synaptogenic activity of neuronally expressed PSA-NCAM, suggesting that interaction of NCAM with heparan sulfate proteoglycans mediates this activity. PSA-NCAM-driven synaptogenesis was also blocked by antagonists to fibroblast growth factor (FGF) receptor and the NMDA subtype of glutamate receptors, but not by blockers of non-NMDA glutamate receptors and voltage-dependent Na+ channels. Enzymatic removal of PSA and heparan sulfates also suppressed the increase in the number of perforated spine synapses associated with NMDA receptor-dependent LTP in the CA1 region of organotypic hippocampal slice cultures40. Thus, neuronal PSA-NCAM in complex with heparan sulfate proteoglycans promotes synaptogenesis and activity-dependent remodeling of synapses (Figure 6.3). Figure 6.3. Signaling of PSA-NCAM via FGF and NMDA Receptors Promotes Synaptogenesis. 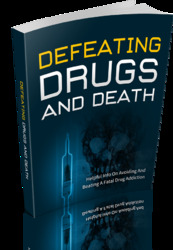 (A) Summary of genetic and pharmacological experiments showing that blockade of FGF or NMDA receptors, removal of PSA by endo-N or heparan sulfates (HS) by heparinase (HPse), addition of soluble NCAM-Fc and PSA-NCAM-Fc, or deletion of heparin-binding domain (AHBD) inhibits the synaptogenic activity of NCAM. 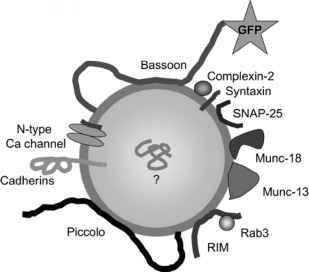 (B) A hypothetical scheme showing a complex of PSA-NCAM and HSPG that may function to enhance signaling via presynaptic FGF receptors. For more explanation, see text and ref. 40. Which HSPGs cooperate with NCAM in hippocampal neurons is currently unknown. It is striking, however, that the presynaptically secreted heparan sulfate, agrin, induces postsynaptic differentiation at the NMJ (Chapters 1 and 11) and is involved in NCAM-mediated heterophilic adhesion19'41. Heparan sulfate proteoglycans of the syndecan and glypican families may also be candidates for mediating PSA-NCAM synaptogenic activity. Agrin binds to FGF-2, and syndecans and glypicans are known to promote FGF-2 triggered signaling. Several studies have shown that heparan sulfate chains serve to facilitate dimerization of FGF and FGF receptors (e.g., ref. 42), which activates the tyrosine kinase domain of these receptors through autophosphorylation. FGF receptors may also be activated by NCAM via direct interaction between these molecules7. In agreement with our present study, FGF-2 and a synthetic peptide, FGL, which corresponds to the site of binding between NCAM and FGF receptor 1, stimulated formation of synapses in hippocampal cultures43. Particularly pertinent to the many signaling mechanisms described for FGF receptor function is activation of neurite outgrowth through generation of polyunsaturated fatty acids (e.g., arachidonic acid) which activate voltage-gated Ca2+ channels44. Restricted Ca2+influx at sites of FGF action may lead to phosphorylation-sensitive clustering of synaptic vesicles at these sites45. Arachidonic acid may also affect synaptogenesis via activation of protein kinase C, which has also been shown to stimulate synaptogenesis46. A recent study identifies FGF-22, FGF-7, and FGF-10, the closest relatives of FGF-22, to be potent inducers of presynaptic differentiation in mossy fibers47. In summary, these data suggest that heparin sulfate proteoglycans in association with PSA-NCAM may assist in activating axonally localized FGF receptors, thus stimulating differentiation of presynaptic specializations (Figure 6.3B). Such mechanisms may explain the higher number of presynaptic terminals contacting onto postsynaptic neurons expressing PSA-NCAM. It is, however, also conceivable that NCAM and FGF receptors may interact postsynaptically to stabilize presynaptic contacts via retrograde messengers. More experiments are necessary to verify these hypotheses and the role of NMDA receptors in NCAM-driven synaptogenesis.